It was so much fun to host the giveaway this Wednesday/Thursday, that I decided to do another! 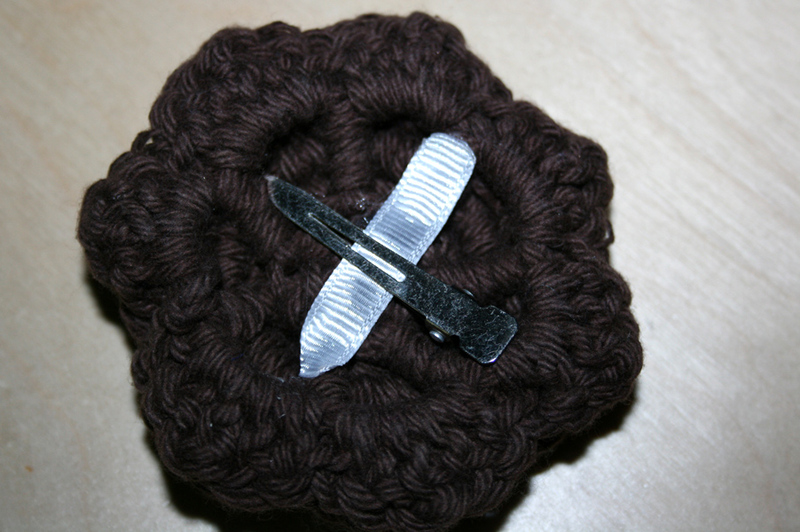 This one is much simpler, just one item. 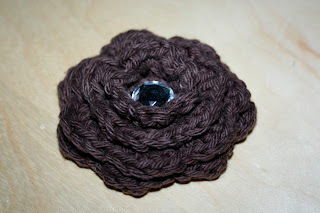 A great crocheted flower hair clip, made with brown 100% cotton yarn and a clear gem center. 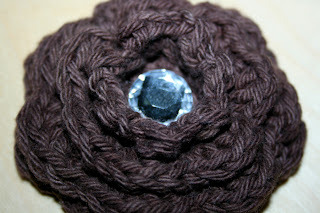 To enter you can comment on this blog post or be a fan on Facebook, all Facebook fans will be entered. You can only have one entry for this giveaway. The winner will be announced tomorrow morning (Saturday, February 25th) at 11:00.